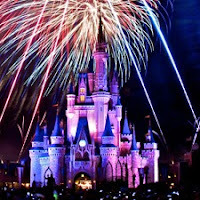 Disney - It's All About The Memories! Rich, happy experiences that literally evoke fond memories and create an emotional connection to the brand. It's the ultimate goal for marketers. One of the world's most powerful brands has knocked it out of the park, with a user-generated content social campaign called "Let The Memories Begin". Launched with a heartwarming television ad this week, the campaign will encourage consumers to submit photographs and videos of their special Disney memories via social media networks Facebook, Myspace, YouTube and a special Disney site. Starting in January 2011, Disney will begin to incorporate the submitted family memories into its theme parks with its “Let the Memories Begin” nighttime experiences. At Disney World in Orlando, guest photos will be projected against the spires of Cinderella’s Castle in the Magic Kingdom. At Disneyland in Anaheim, the backdrop will be the “It’s a Small World” facade. Disney projects that as many as 500 photos will be used at each location each day. Disney's Rainmakers decision to feature user-generated content is absolutely brilliant. It is not only a great way to position the Disney brand and its theme park experience as compelling and heartwarming, but it’s an absolute genius way to get consumers to reflect upon their own Disney-flavored memories. What do you think of the campaign, and Disney’s decision to employ user-generated content to trigger warm memories of park experiences?